Always something to learn, even if I generally knew the word. Very concise and includes interesting info like etymology or historical references. Greta and Paul were ecstatic when their daughter called to tell them that they were soon going to be grandparents. Ecstatic has been used in our language since the late 16th century, and the noun ecstasy is even older, dating from the 1300s. Both derive from the Greek verb existanai ("to put out of place"), which was used in a Greek phrase meaning "to drive someone out of his or her mind." That seems an appropriate history for words that can describe someone who is nearly out of their mind with intense emotion. In early use, ecstatic was sometimes linked to mystic trances, out-of-body experiences, and temporary madness. Today, however, it typically implies a state of enthusiastic excitement or intense happiness. Despite the fact that they have been political adversaries for years, the two state senators worked together to rally bipartisan support for the bill. If you've ever had someone turn on you and become your adversary, you've inadvertently lived out the etymology of adversary. The word is from the Latin adjective adverāsarius ("turned toward" or "antagonistic toward"), which in turn can be traced back to the verb advertere, meaning "to turn toward." 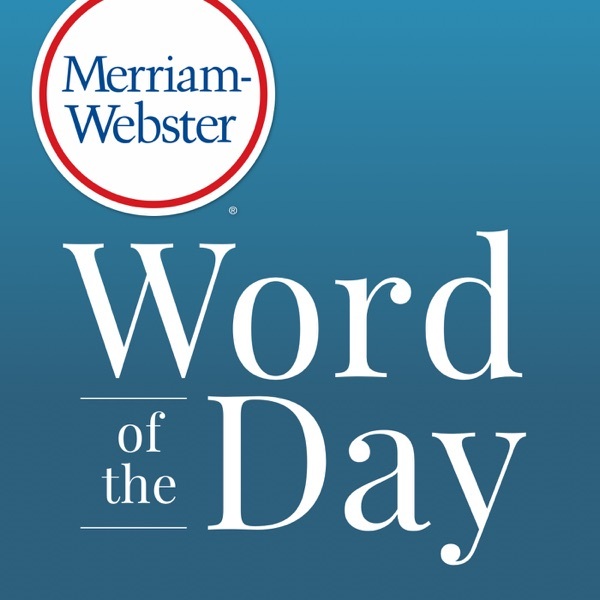 Advertere itself derives from ad- and vertere ("to turn"), and vertere is the source of a number of English words. Along with obvious derivatives, like inadvertent and adverse, are some surprises, including anniversary, vertebra, and prose—the last of which traces back to the Latin prosus, a contraction of proversus, the past participle of provertere ("to turn forward"). "I'm not so gullible as to think I really won this cash sweepstakes," said Aunt Mary, though she went ahead and opened the envelope that told her she had won, just in case it wasn't a scam. Don't fall for anyone who tries to convince you that gullible isn't entered in the dictionary. It's right there, along with the run-on entries gullibility and gullibly. All three words descend from the verb gull, meaning "to deceive or take advantage of." The verb was borrowed into English from Anglo-French in the mid-16th century. Another relative is the noun gull, referring to a person who is easy to cheat—a word which is unrelated to the familiar word for a seabird, which is of Celtic origin. Nate was shanghaied by his sister into helping her sell shirts at the lacrosse tournament after her friend bailed out. In the 1800s, long sea voyages were very difficult and dangerous, so people were understandably hesitant to become sailors. But sea captains and shipping companies needed crews to sail their ships, so they gathered sailors any way they could—even if that meant resorting to kidnapping by physical force or with the help of liquor or drugs. The word shanghai comes from the name of the Chinese city of Shanghai. People started to use the city's name for that unscrupulous way of obtaining sailors because the East was often a destination of ships that had kidnapped men onboard as crew. Have you ever heard a cat wailing and felt that you could relate? Apparently some hungover German speakers once did. Katzenjammer comes from German Katze (meaning "cat") and Jammer (meaning "distress" or "misery"). English speakers borrowed the word for their hangovers (and other distressful inner states) in the first half of the 19th century and eventually applied it to outer commotion as well. The word isn't as popular in English today as it was around the mid-20th century, but it's well-known to many because of The Katzenjammer Kids, a long-running comic strip featuring the incorrigibly mischievous twins Hans and Fritz. Veritable, like its close relative verity ("truth"), came to English through Anglo-French from Latin. It is ultimately derived from verus, the Latin word for "true," which also gave us verify, aver, and verdict. Veritable is often used as a synonym of genuine or authentic ("a veritable masterpiece"), but it is also frequently used to stress the aptness of a metaphor, often in a humorous tone ("a veritable swarm of lawyers"). In the past, usage commentators have objected to the latter use, but today it doesn't draw much criticism. Thole has a long history in the English language. It existed in Middle English in its current form, and in Old English in the form tholian, but in these modern times, it tholes only in a few of England's northern dialects. It has, however, a linguistic cousin far more familiar to most English speakers: the word tolerate traces back to Latin tolerare, meaning "to endure, put up with," and tolerare and tholian share a kinship with the Greek verb tlēnai, meaning "to bear." Unrelated to our featured word thole, there is another (also very old) thole, which can be used as a synonym of peg or pin, or can refer to either of a pair of pins set in the gunwale of a boat to hold an oar in place. In his 1755 dictionary, Samuel Johnson said of despot, "the word is not in use, except as applied to some Dacian prince; as the despot of Servia." Indeed at that time, the word was mainly used to identify some very specific rulers or religious officials, and the title was an honorable one: it comes from a Greek word meaning "lord" or "master" and was originally applied to deities. That situation changed toward the end of the century, perhaps because French Revolutionists, who were said to have been "very liberal in conferring this title," considered all sovereigns to be tyrannical. When democracy became all the rage, despot came to be used most often for any ruler who wielded absolute and often contemptuous and oppressive power. After being fired, the coach gave a Parthian shot to the general manager informing him that he was a churlish miser. The adjective Parthian, which often shows up in the phrase "Parthian shot," has its roots in the military strategies of the ancient Parthians. One of the fighting maneuvers of Parthian horsemen was to discharge arrows while in real or feigned retreat. The maneuver must have been memorable because "Parthian shot" continues to be used for a "parting shot," or a cutting remark made by a person who is leaving, many centuries after the dissolution of the Parthian empire.